Meals on Wheels of Albuquerque is proud to announce that it will be participating in the tenth annual Subaru Share the Love Event as a member of Meals on Wheels America – one of four national Share the Love charitable partners supported through the promotion. From November 16, 2017 to January 2, 2018, Subaru of America will donate $250 for every new Subaru vehicle sold or leased to the customer’s choice of participating charity. “Meals on Wheels of Albuquerque does not receive any government funds. Instead, we rely on the generosity of our community to keep us going. 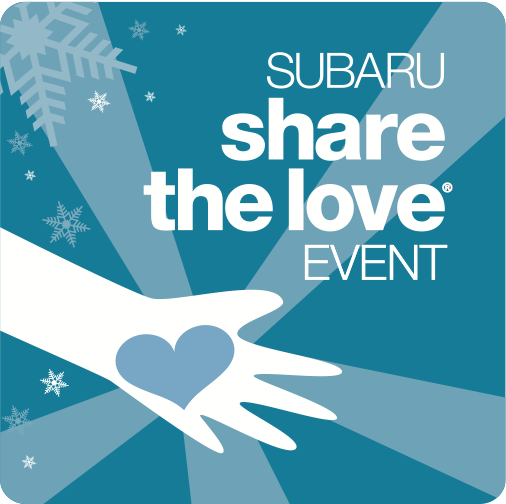 Subaru’s Share the Love event continues to be a great support for our program. Since our inception in 1972, we have served over 3 million meals. We plan on continuing this success for at least another 42 years. Events like this will help us get there!” says Shauna Frost, Meals on Wheels of Albuquerque’s Executive Director. Participating Meals on Wheels America members, like Meals on Wheels of Albuquerque, will receive a share of the donation raised by Subaru in their state. Meals on Wheels of Albuquerque has partnered with Garcia Subaru in Albuquerque to raise awareness for the popular year-end sales and giving event, and drive support for Meals on Wheels. By purchasing or leasing a new Subaru during the Event and selecting Meals on Wheels America as your charity of choice, you can help deliver nutritious meals and other important services to seniors right here in Albuquerque. Meals on Wheels of Albuquerque is a private 501(c)3 nonprofit corporation founded in 1972 by a group of women from Presbyterian Churches around Albuquerque. We began with 20 clients and 40 volunteers. Today we serve approximately 550 clients and have over 400 volunteers. We delivered 9,400 meals in 1972. Today we are delivering over 130,000 meals a year. Meals on Wheels of Albuquerque provides nutritious meals and crucial social contact each day. Not only do we provide friendship and compassion but we also check the well being of those we serve. Meals on Wheels of Albuquerque is the only home delivered meal program in the Albuquerque area preparing special diets. We prepare these special diets for a variety of needs, including diabetes, renal failure, heart issues, chewing and swallowing problems, etc. We receive no federal or state funding.